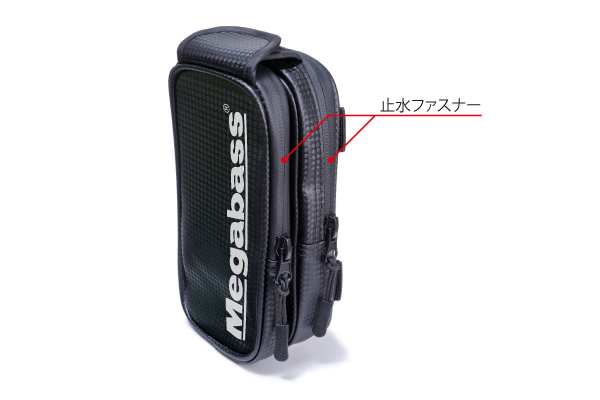 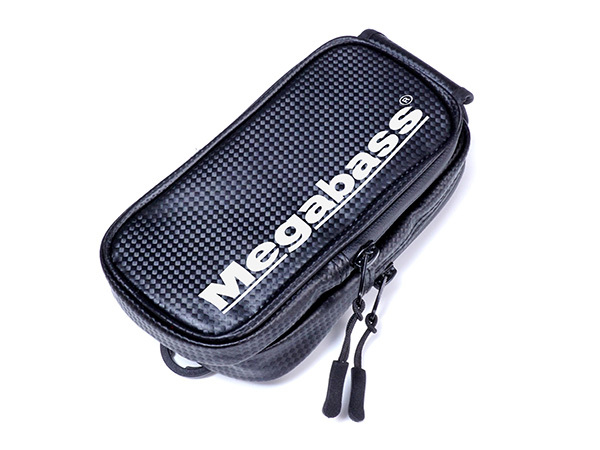 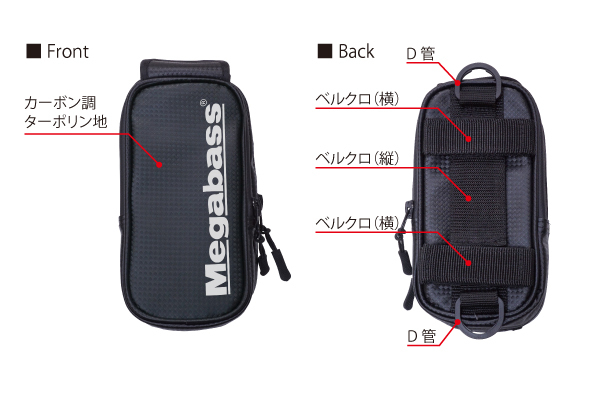 The Megabass Mobile Pouch has two compartments, one for your smartphone, and one for miscellaneous small items. 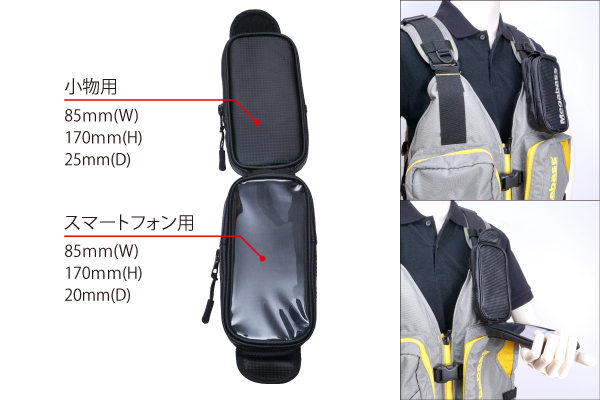 The smartphone is stored with the screen facing inward, allowing you to open up the pouch to operate your smartphone while wearing it. 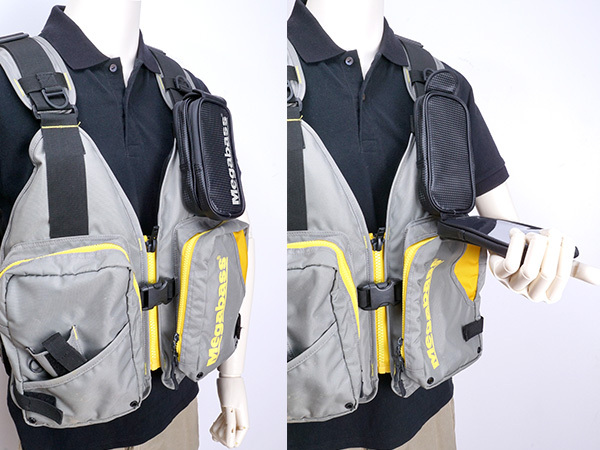 The backside features horizontal and vertical Velcro strips and buckles on the top and bottom, allowing for easy attachment to vests, or pants with the use of a carabiner.